Supervisors and managers who oversee functions responsible for mistake-proofing. What is Mistake-Proofing (Poka Yoke)? Mistakes seem to happen at the worst time. At work, just before a critical shipment, an inadvertent mistake causes the entire shipment to be rejected. Or at home, just before leaving for a long anticipated vacation, “Murphy’s Laws” intervene, and a series of seemingly unavoidable mistakes delays our departure. Can we defeat Murphy’s Laws? Can we eliminate these costly mistakes? Probably not totally, but the use of mistaking-proofing tools and techniques will put an end to many of the repetitive, costly mistakes that rob us of time and money both at home and at work. Mistake-Proofing is more than just incremental improvements or trying harder to do a better job. Mistake-Proofing techniques don’t just reduce the chance of making errors, they can eliminate the possibility for error altogether. Introduction to Mistake-Proofing is an online training course designed to introduce learners to the prevention-focused mindset that is the cornerstone of mistake-proofing. Learners will also become familiar with mistake-proofing concepts, tools and techniques used to formulate (and evaluate) mistake-proofing solutions. For more in-depth, step-by-step training on Mistake-Proofing, please see our Mistake-Proofing Training or Error-Proofing Business Processes online courses. Be familiar with the 4 mistake-proofing effects, 2 forms of outcomes and 8 types of mistake-proofing solutions. Be acquainted with basic root cause analysis tools needed for mistake-proofing solutions. Be aware of how to assess potential solutions to determine if they are practical, feasible, cost-effective, robust and sustainable. Recognize that to mistake-proof a process or system the root cause of mistakes or errors must be found and addressed. Be aware of examples of common mistake-proofing in action in everyday life. Know the four effects and two outcomes of mistake-proofing solutions. Understand the relative mistake-proofing power of each effect-outcome combination. Appreciate that the root cause of the mistake/problem must be identified and addressed to effectively mistake-proof a process. 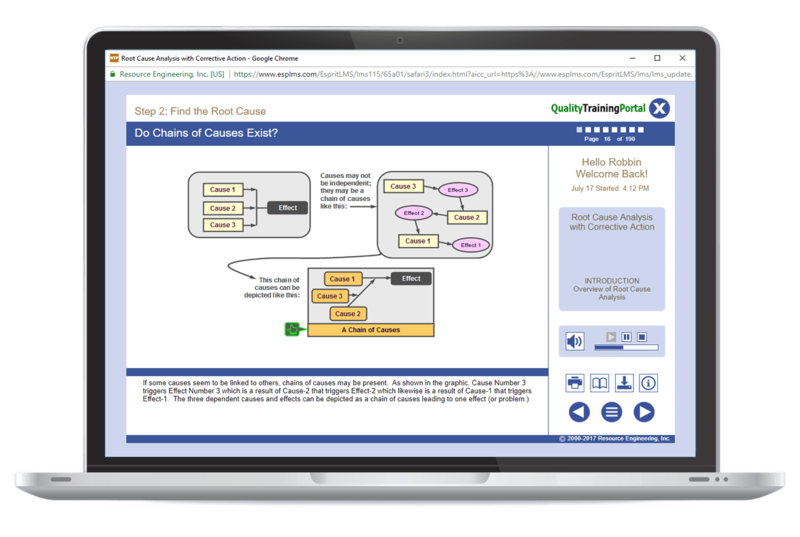 Learn how to apply the Five-Whys, Comparative Analysis, Timeline Analysis and Cause and Effect Diagrams as mistake-proofing investigative tools. Become familiar with how additive data picture tools help paint a picture of the problem. Learn how to evaluate whether solution candidates are practical, feasible and cost-effective. Be able to evaluate the robustness and sustainability of solution candidates. Understand the mistake-proofing mindset and the goal of mistake-proofing. Recognize why errors are made. Learn the language of mistake-proofing. Recognize mistake-proofing solutions in everyday life and use these solutions as triggers for ideas to mistake-proof your processes. See the value of improving processes so that mistakes are prevented instead of relying on inspection to find mistakes. Identify the five process input elements that exist in any process.